From June to August each year the Northern Territory provides the perfect place to escape winter – with generally wonderful weather of sunny warm days and blue skies. We offer a range of wonderful walking holidays in the centre near Alice Springs as well as in the Top End. Our pack free 5 day Larapinta walk is a unique itinerary created as a Pack Free adventure. Carrying as little as your water and camera you will see the most spectacular areas of the Larapinta with some optional walks offered to fit a variety of fitness levels. Add to this an ideal choice of 2 nights camping under the stars in walk-in touring tents with off the ground beds at the magnificent Ormiston Gorge and 2 nights accommodation at Glen Helen Homestead complete with a swimming pool to refresh after a day’s walk and superb meals in its award winning restaurant and you have the perfect walking experience. 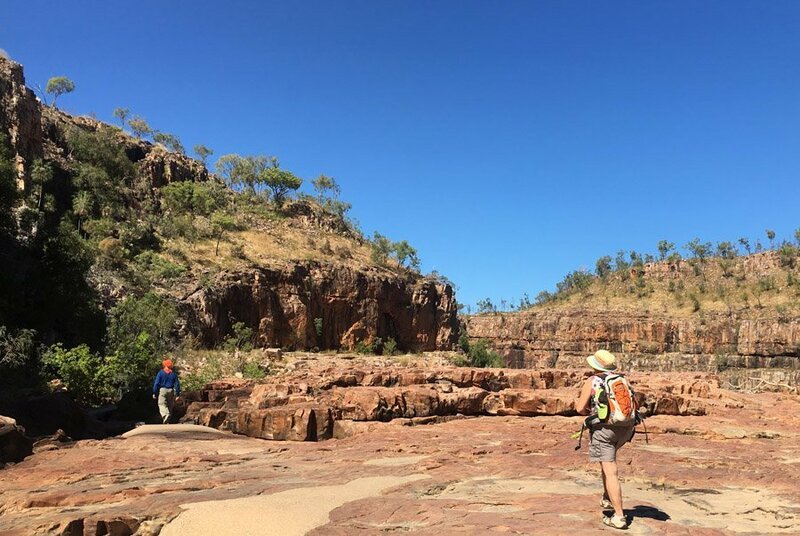 In the Top End you can explore pack free walks to the dramatic escarpments of Kakadu National Park, the cascading waterfalls of Litchfield National Park and the dramatic scenery of Nitmiluk National Park, home to Katherine Gorge and stunning Edith Falls. 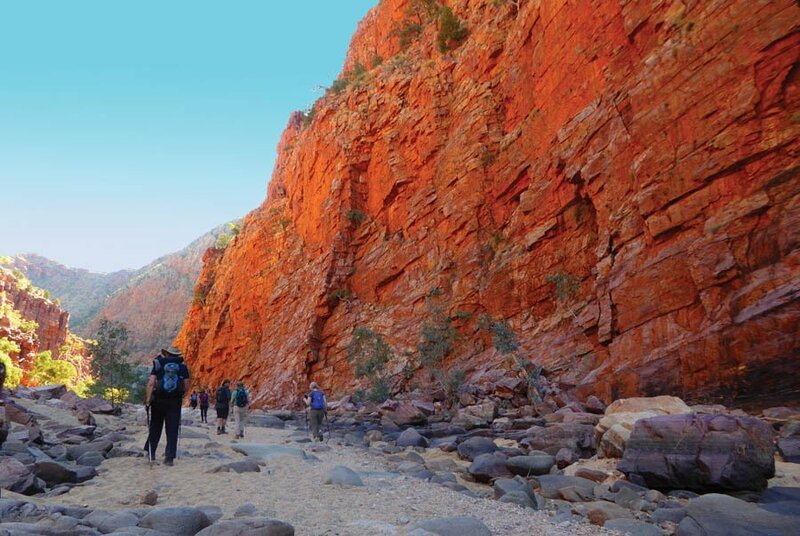 Trek the Larapinta Trail with Life’s An Adventure – winner of 21 Tourism Awards of Excellence. Our pack free walks explore the most spectacular regions of the Larapinta. Enjoy 2 nights at the historic Glen Helen Homestead with a swimming pool and award-winning restaurant. Finish the journey with a spectacular helicopter flight over the Larapinta. 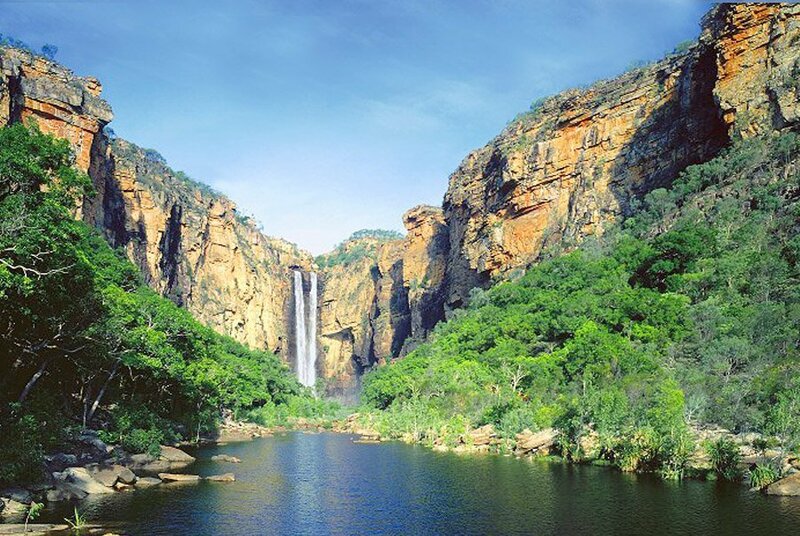 Walk all 4 regions of Kakadu National Park on this 5 day tour in the Top End. This 5 day pack free walking experience explores dramatic escarpments and landscapes of the largest national Park in Australia. Each day's walk ends with a swim to cool off in natural waterholes and plunge pools. You'll also experience a walk in beauitful Litchfield National Park. For the complete walking experience of the Top End you can't miss this 7 day tour. Enjoy the best walking trails of the Top End which explore the dramatic stone country of Kakadu's escarpments, swim in the waterfall holes of Litchfield National Park and experience dramatic Nitmiluk National Park home of the dramatic Katherine Gorge.